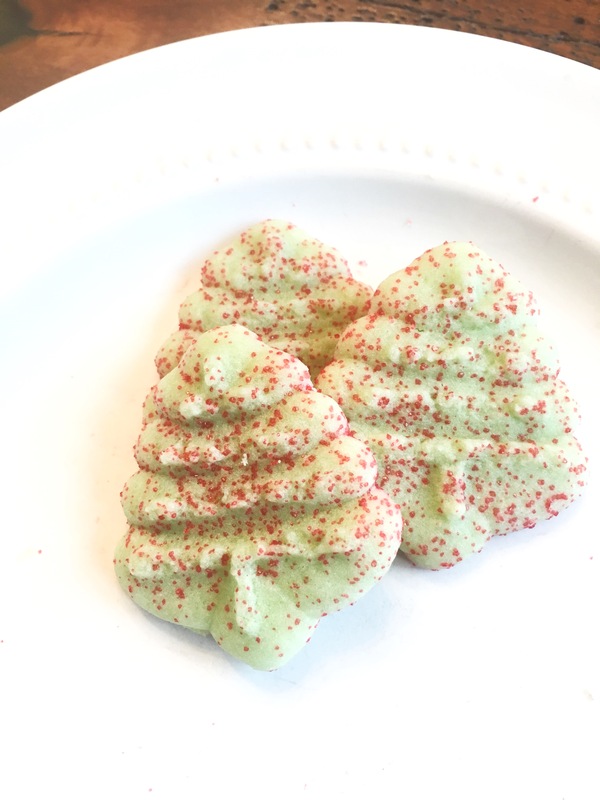 One of my favorite Christmas Traditions as a young girl was my mom making these delicious Christmas Tree Cookies! I knew it was Christmastime when I came home to these delicious treats after school. My mom is no longer living, so I have continued on the tradition by making them for my kids. 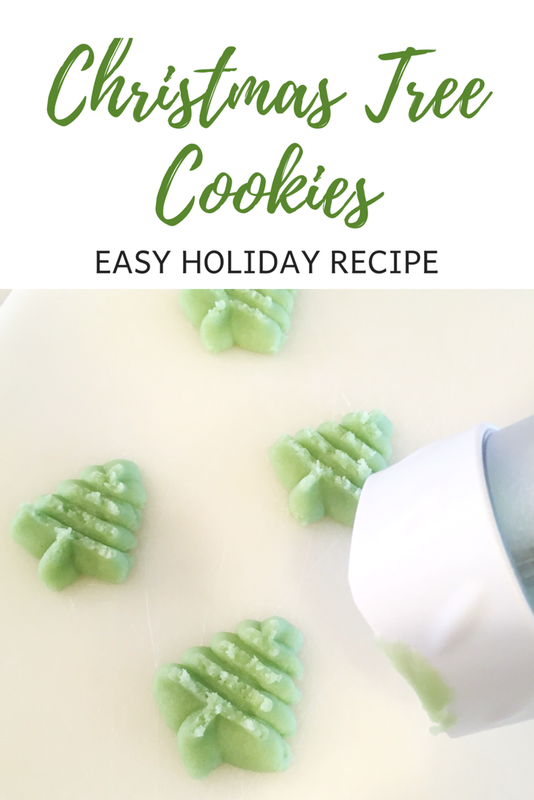 They are SO easy and I love the hint of almond flavor! 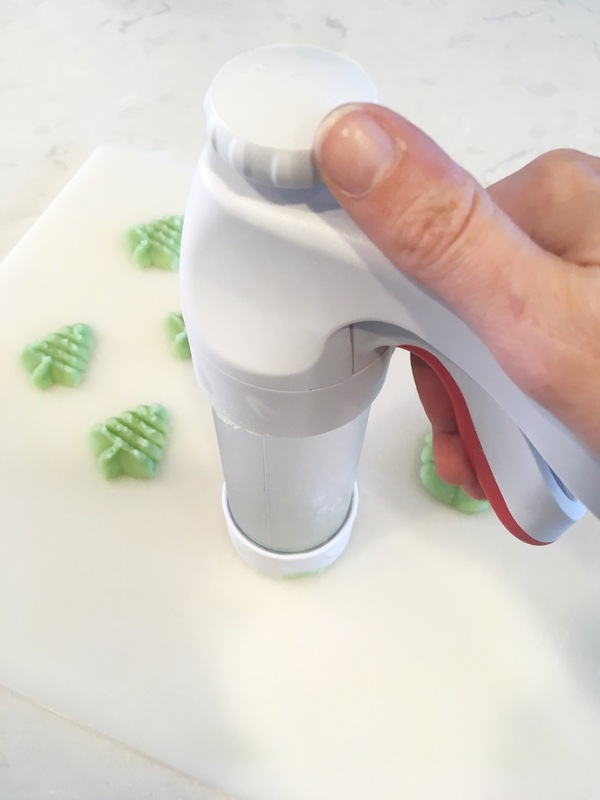 One of the best parts of making Christmas Tree Cookies is getting to use this fun Wilton Cookie Press. It’s really easy to use, and you can usually find one under $10! It comes with a dozen different plates with fun shapes for cookies. All you have to do is fill it with the cookie dough, turn it upside down and press the trigger! Out comes a cute little tree. Cream the butter and sugar together in mixer. Mix dry ingredients together in a separate bowl. Gradually add to mixer. 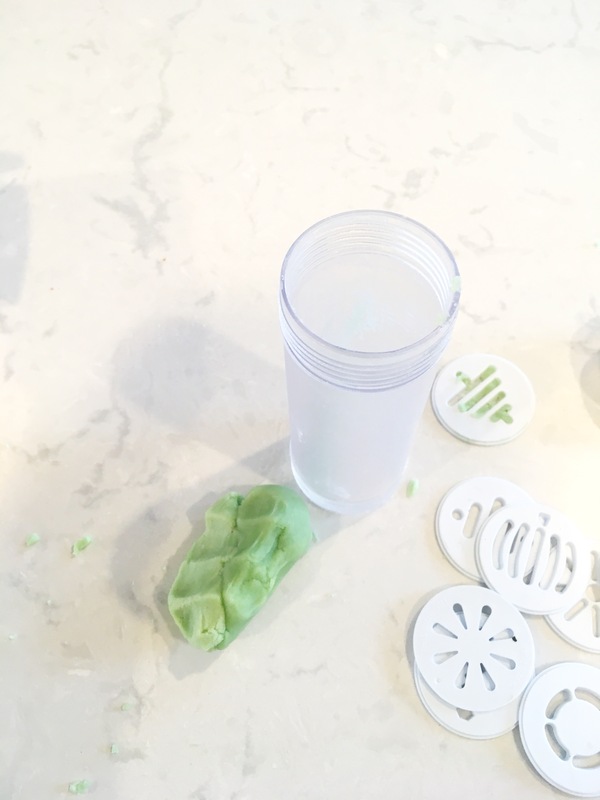 Add a few drops of green food coloring. Mix well. 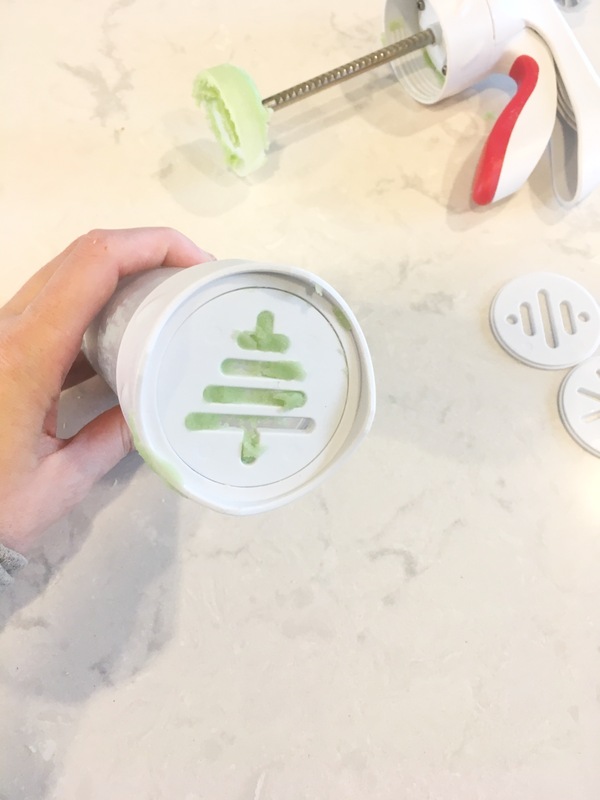 Fill Cookie Press with dough and insert the tree plate. 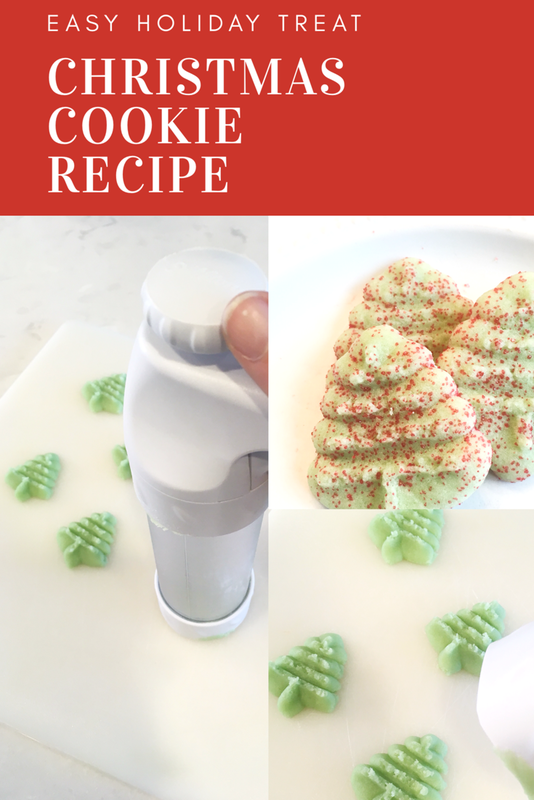 Use Cookie Press to make cookies on ungreased cookie sheet. Bake in hot oven for 8 minutes. They are so easy! Your kids will look forward to them every year, I promise! Oh my goodness they are too cute! Great post!